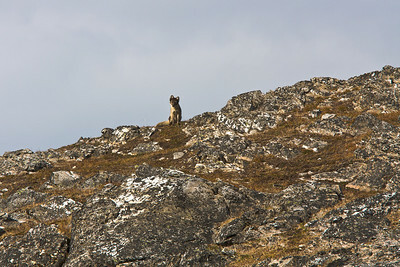 These gallery images were all made during a single landing at Alkhornet on the island of Spitsbergen. 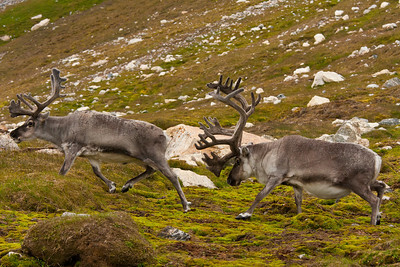 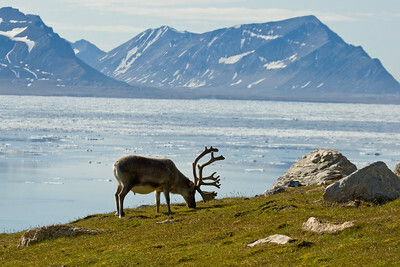 Here in the Arctic summer, the snow is mostly gone and the tundra flourishes with hardy plant life, providing much-needed food for the native reindeer. 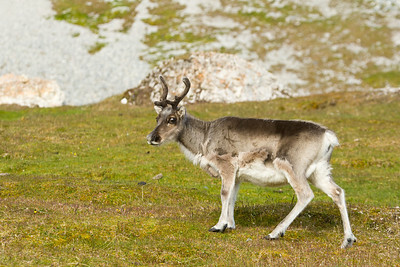 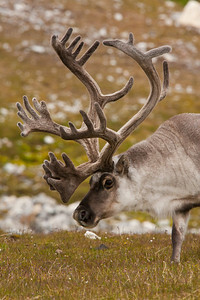 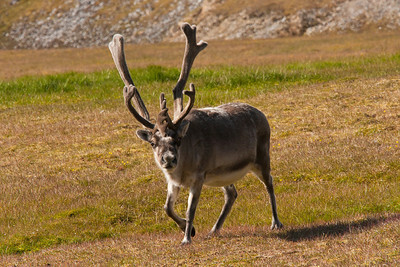 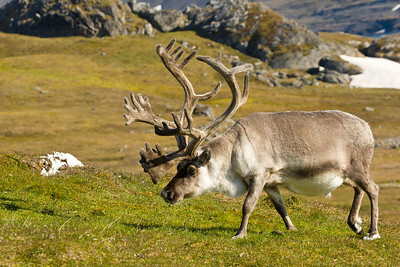 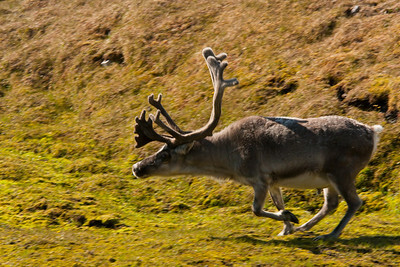 These Svalbard reindeer are small, the males standing only 3 feet at the shoulder. 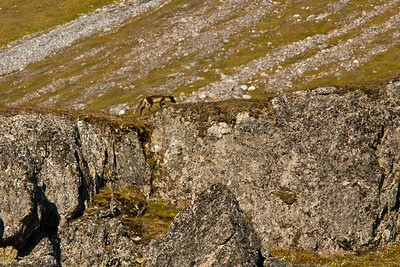 Arctic fox were also seen and photographed, although we were not able to get very close to these skittish animals. 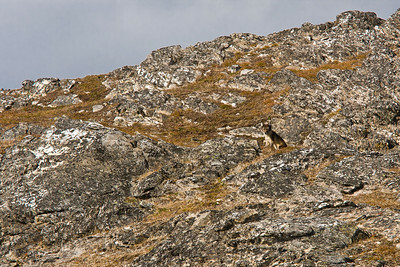 The Arctic Fox's summer coat allows it to blend in nicely with the surrounding rocks. 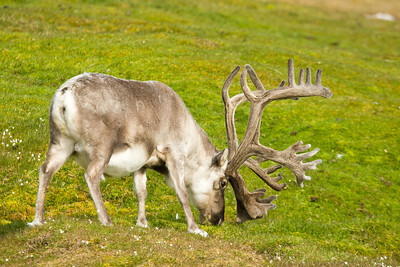 In the winter, it's coat is pure white, again providing camouflage against the snowy background. 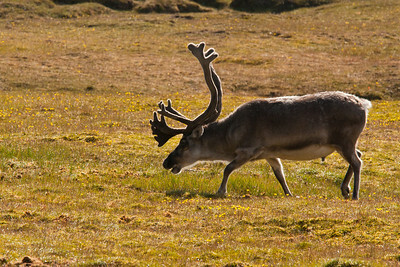 Our guide is quietly allowing the reindeer to approach him. 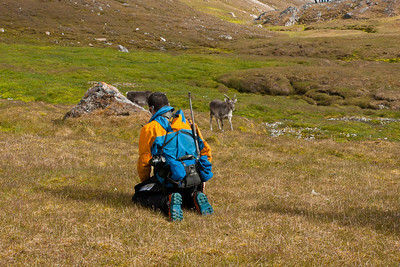 The rifle is for mandatory protection against polar bears which roam the land areas during the Arctic summer when some pack ice has melted.